This card was made with the CAS(E) this Sketch #130 challenge in mind, although I had some leftover die cut elements sitting on my workbench when I started so there’s a distinct resemblence to my last set of cards! There’s no sentiment on the front which is my personal preference, although for once I really really tried to find something suitable. However none of my stamps or dies had the right combination of words, size and font — most actually had none of those! — so I decided it was destined to be blank. My handwriting is too scary to be an option. 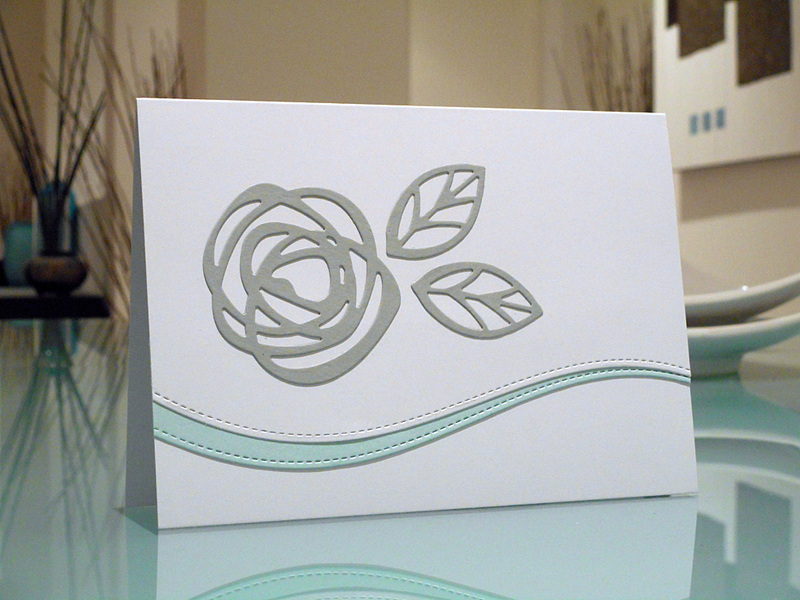 The flower and leaves were cut from Stampin’ Up! Smoky Slate cardstock using Ellen Hutson’s gorgeous Bold Blossoms dies. 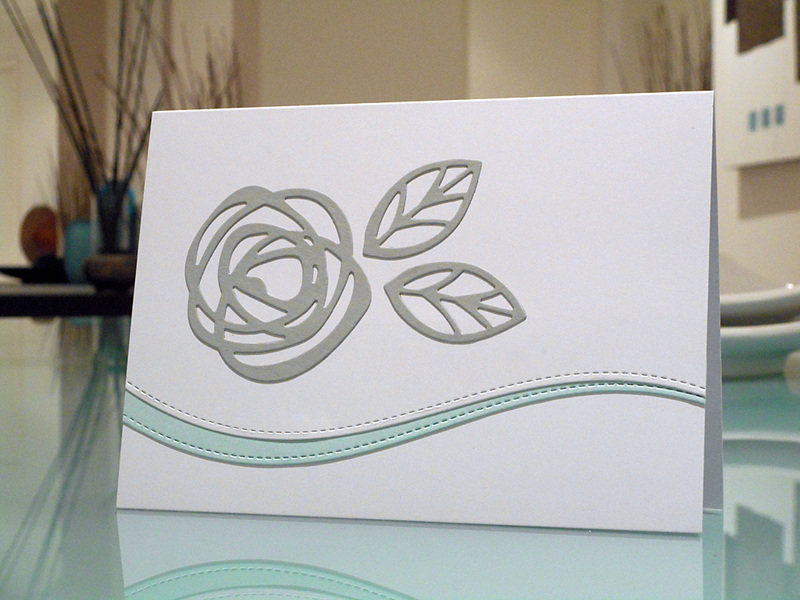 The curves were cut with one of the Lawn Fawn Stitched Hillside Borders dies, and I made the pale blue Stampin’ Up! Soft Sky band taper in the hope of it looking less static. Beautiful! I love the double border! Wonderful take on the sketch! Love this graphic beauty. You have a wonderful CAS style. I’m still figuring out my exact style, but it’s definitely in clean-and-simple territory! Next Next post: Flying saucers, anyone?